Tonight is the tonight to find out how much we have all raised for Children In Need. Ahead of the big total last night this year’s 2012 designer Pudsey Bear’s went up for auction under the biggest names in fashion, from Alexander McQueen to Victoria Beckham. They were all a seller going for the grand total of £152,000. Starting with the most top auction price was Giles Deacon's Swarovski crystal Pudsey making the most money as it sold for £24,000. The next bestseller was Louis Vuitton's effort, which doubles as a bag, for £20,000, followed by Tom Ford's bear cutely styled with a suit, hat and sunglasses which went under the hammer for £12,000. In attendance with Pudsey Bear auction was the likes of Abbey and Peter Crouch, who looked very at home with their Pudsey whilst the paparazzi was napping way, whilst sponsoring the auctions. Alongside of them were Chloe Moretz and Kristen McMenmey who also turned out to support the auction. 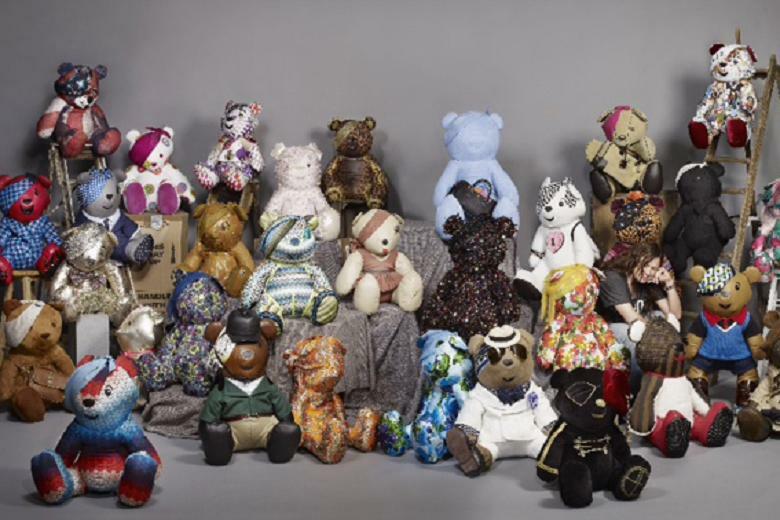 Next in line to be auctioned off was Burberry’s which went for £9, 000, whilst Victoria Beckham’s Pudsey went for £6,500. AS we get down to the lowest bids of the night it went down between Missoni’s which has a current bid at £1,900 whilst Paul Smith’s Pudsey is at a current bid of £2,100. "I was honoured to curate this fantastic collection, and have had such fun working with the designers on all of their amazing designs," said Grand. "BBC Children In Need is an incredibly worthwhile cause, and one which myself and all of the designers involved in the collection are privileged to support." These bears come in the name of Alexander McQueen to Victoria Beckham. These little trendsetters will be doing their part for raising funds for Children In Need, as apart of auction at Christie's. For the meantime they will be showcased at Selfridges in London and Manchester from October 24 until November 14.